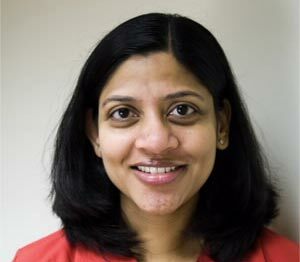 Madhavi Mallapragada is associate professor in the Department of Radio-Television-Film, the College of Communication, at the University of Texas at Austin. She is also a faculty affiliate of UT's Center for Asian American Studies (CAAS), South Asia Institute (SAI) and the Department of Asian Studies. Dr. Mallapragada's research and teaching interests lie at the intersections of new media studies, Asian American studies and transnational cultural studies. In particular, she is interested in the online articulations of racialized, brown, and transnational cultural identities within a South Asian American context. She recently published the book Virtual Homelands: Indian Immigrants and Online Cultures in the United States which examines the role and politics of the Web in recasting notions of Indian-American identity and cultural citizenship since the late 1990s. Her work has been published in the journals New Media and Society, South Asian Popular Culture, Popular Communication and edited anthologies Web.studies: Rewiring New Media for the Digital Age (2000), Critical Cyberculture Studies: Current Terrains, Future Directions (2006) and Re-Orienting Global Communication: Indian and Chinese Media Beyond Borders (2010). Dr. Mallapragada's courses at the undergraduate level include two-upper level writing-intensive courses RTF 331 Internet Cultures and RTF 359 Asian American Media Cultures (cross-listed with Asian American studies). At the graduate level, she teaches RTF 393P New Media Technologies and Cultures (cross-listed with the School of Information) and RTF 387CMedia and Diaspora (cross-listed with Asian Studies).